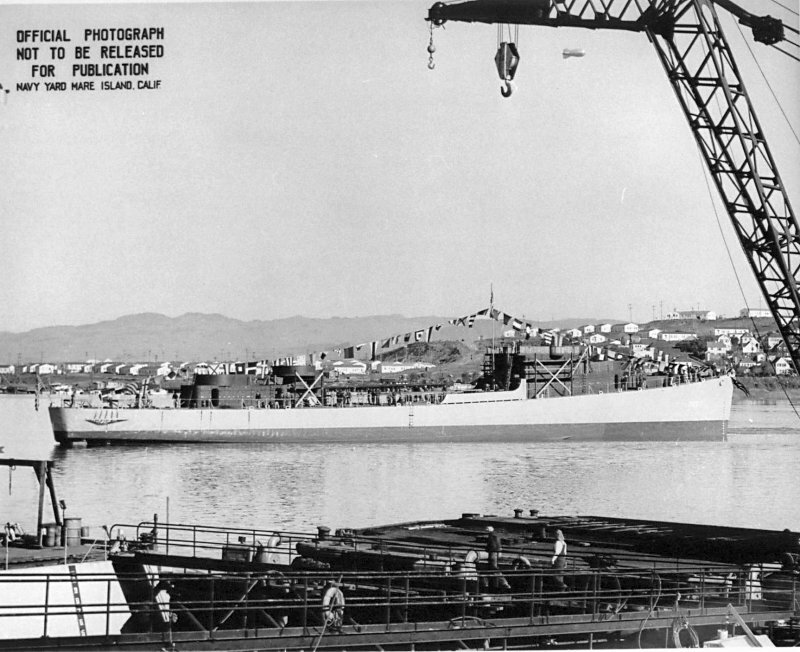 7 September 1942: Keel laid by the Mare Island Navy Yard, Vallejo, Cal. 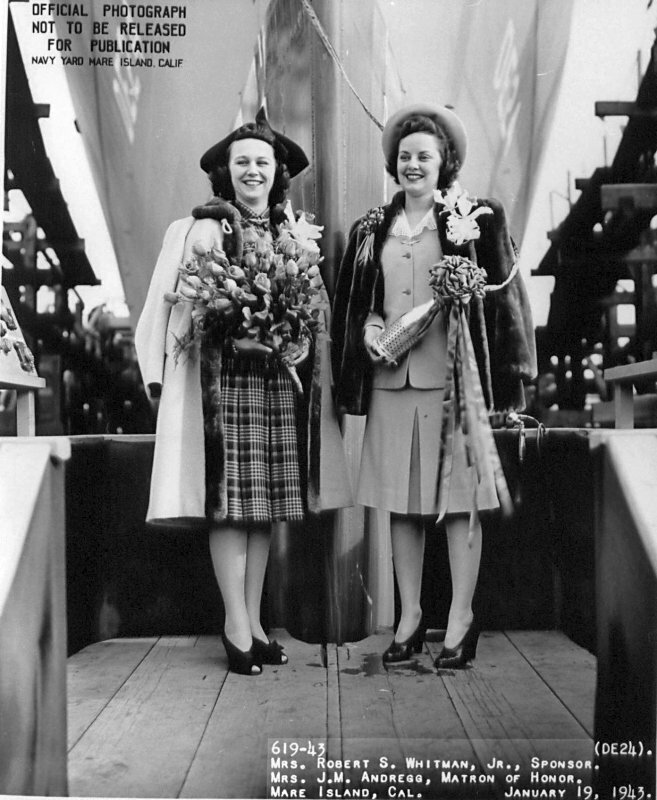 31 January 1947: Sold for scrapping to the National Metal & Steel Corp., Terminal Island, Los Angeles, Cal. 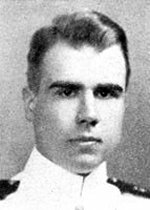 9k Robert Scott Whitman, Jr. was born on 1 January 1916 at Johnson City, N.Y. and was appointed a midshipman on 24 August 1935. He graduated from the Naval Academy with the Class of 1939. 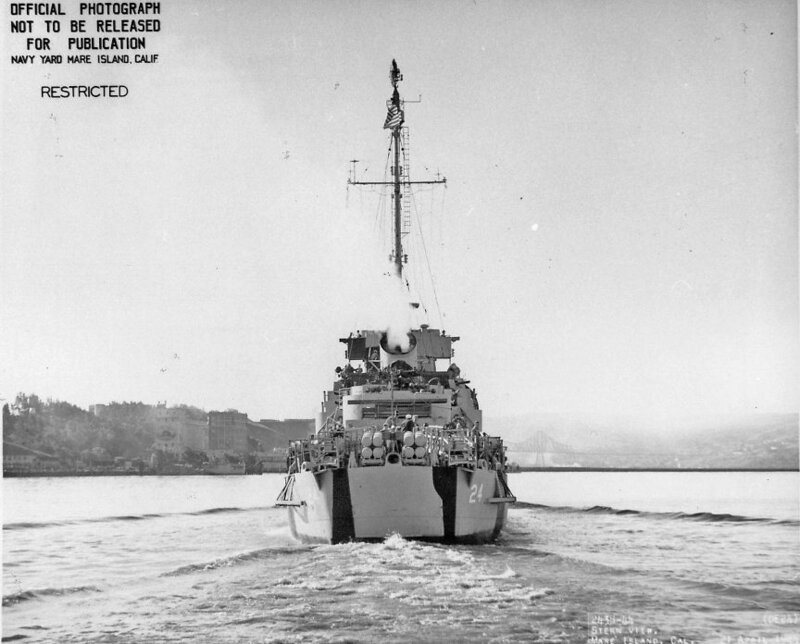 After sea duty in the heavy cruiser USS Quincy (CA 39) from 26 June 1939 to 1 February 1941, Whitman underwent heavier-than-air instruction at the Naval Air Station at Pensacola, Fla. He won his wings there and then received further instruction at the Transition Training Squadron, Pacific Fleet, before he reported to Patrol Squadron (VP) 44 on 4 November 1941. He remained with VP-44 into the spring and early summer of 1942. With the reinforcement of Midway Atoll in the face of an impending Japanese thrust, VP-44 was dispatched to that key island base. During the first few days of June 1942, the PBY's based at Midway flew long patrols over the trackless ocean, searching for signs of enemy shipping. Then, on 3 June, came the first surface contact. One of the searchers on patrol that morning. 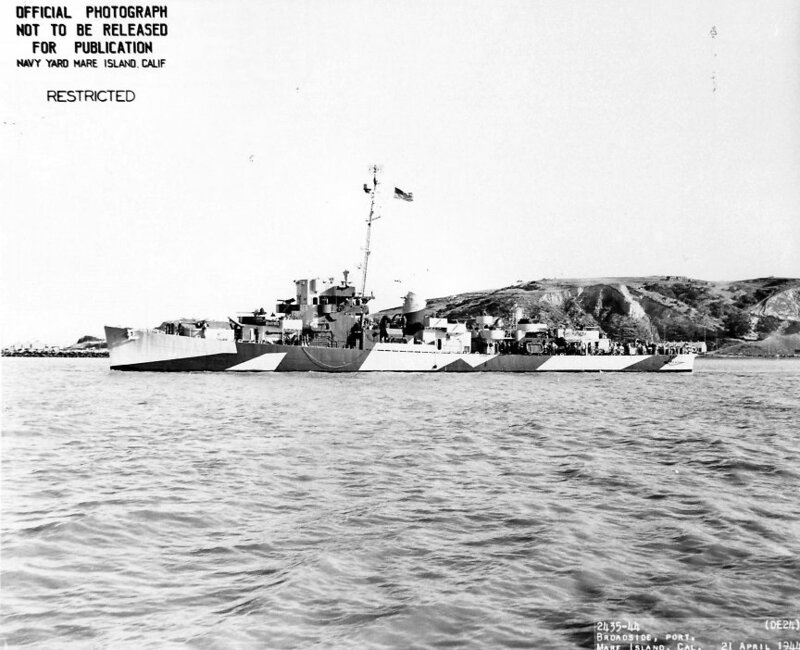 Whitman's plane was the third to spot the enemy ships and at 0925 radioed a report calling attention to the "main body." After sending back a second message amplifying the data contained in his report of the initial sighting, Whitman brought his plane back to Midway in accordance with instructions. The following day, 4 June 1942, at 0715, his PBY-5A Catalina was again airborne; he reported that the aircraft was being "opposed by two enemy observation planes." That proved to be the last word heard from Whitman's aircraft, as the enemy planes shot it down in flames. Records of what happened later are sketchy, but it appears that about half of the plane's crew was lost on 4 June; six survivors, including the badly wounded Ensign Jack H. Camp, USNR, were picked up by a search PBY on 6 June. Camp later died at 0203 on the 7th. 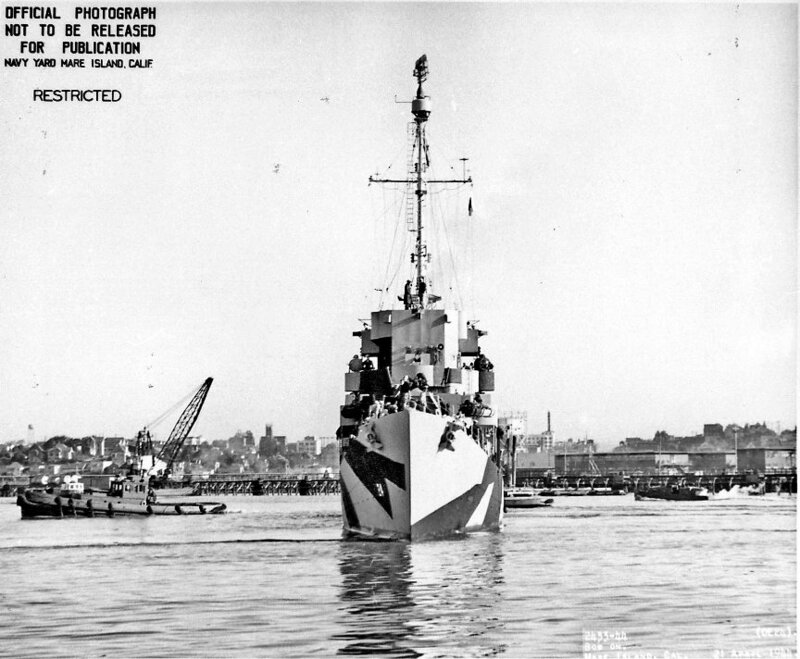 USS Whitman (DE 24) (1943-1945) was the first ship named in his honor. 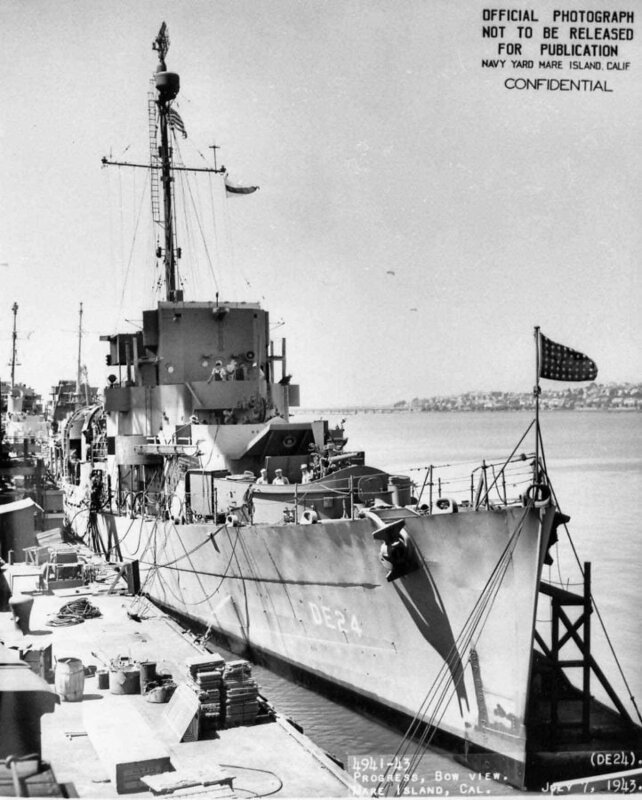 View the USS Whitman (DE 24) DANFS history entry located on the Naval History and Heritage Command web site.